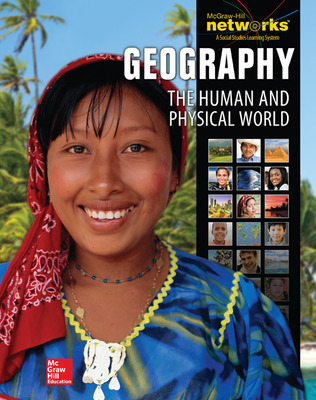 Relevant, up-to-date features bring the world to your classroom and allow you to make connections between geography, people, and the world in which we live. Students will explore issues relating to human geography such as labor migration, energy resources and indigenous rights, and the socioeconomic status of women in West Africa. Global Connections features focus on opportunities and challenges facing people around the world. Case Studies examine topics with the help of primary sources and DBQs. This dynamic new program is enriched with interactive maps, infographics, animations, videos, and stunning photographs! Discover ePals Global Community Projects® and connect with teachers and students around the world.